The weather here in Berlin has been superb. Other than a scorcher on the day I decided to walk across Berlin, the temps have been in the low to mid 80’s. The warm sun on my face feels good as I break a little sweat exploring the city for hours on end – rewarding myself with some gelato or an ice cold beer at the finish line. It reminds me of what summer used to feel like before I moved to Arizona all those years ago and began to dread them. I’ve really gotten the hand of the public transportation system in Germany. No more staring at ticket machines and scrolling back and forth through the menus trying to figure out if I am buying the right ticket. I easily walk up, grab my ticket, find my train and off I go. S-Bahn, U-Bahn, and trams. No problem. It’s a great way to get around, especially in a big city like Berlin. 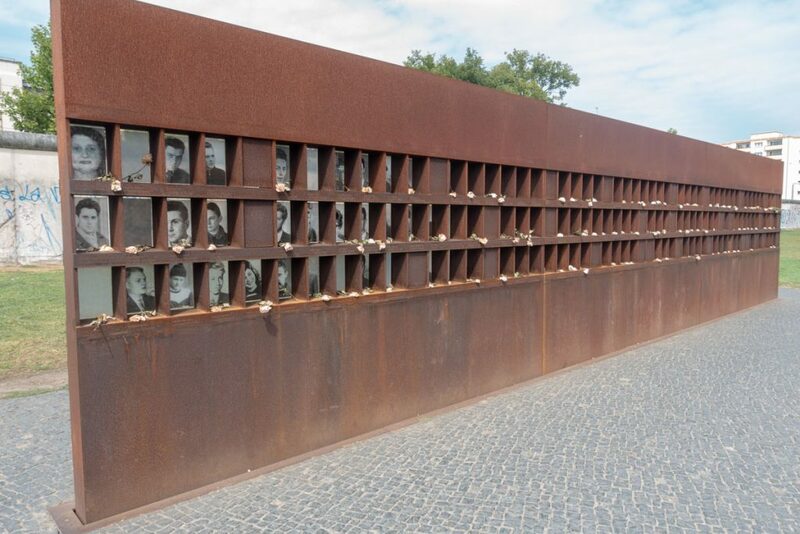 The Berlin Wall Memorial is two train rides away from my hotel, but only a 10 minute journey. The S-Bahn exits right across the street from the visitors center. I stop in to pickup the free brochures that help guide you along the path of the memorial. There are four sections, I was planning to see three of them. 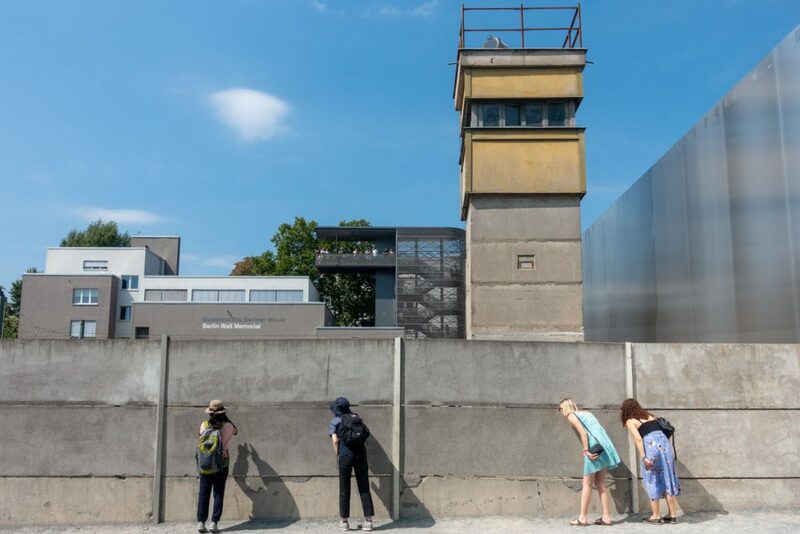 Section A provides an introduction to the wall and is home to a memorial of those who were killed trying to escape the oppression in East Berlin. 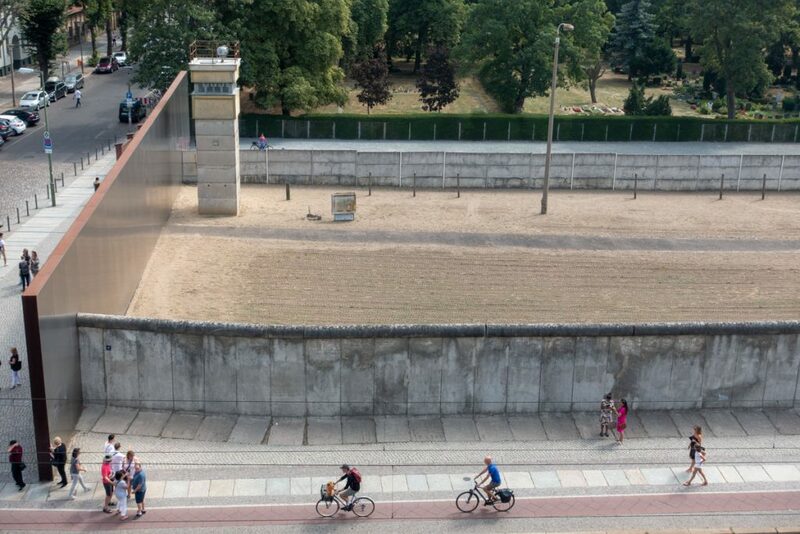 There is a large section of the old wall, covered in graffiti, as well as some iron bars where parts of the wall once stood – allowing you to look through to the passing cars, bicycles, and people going about their daily business. 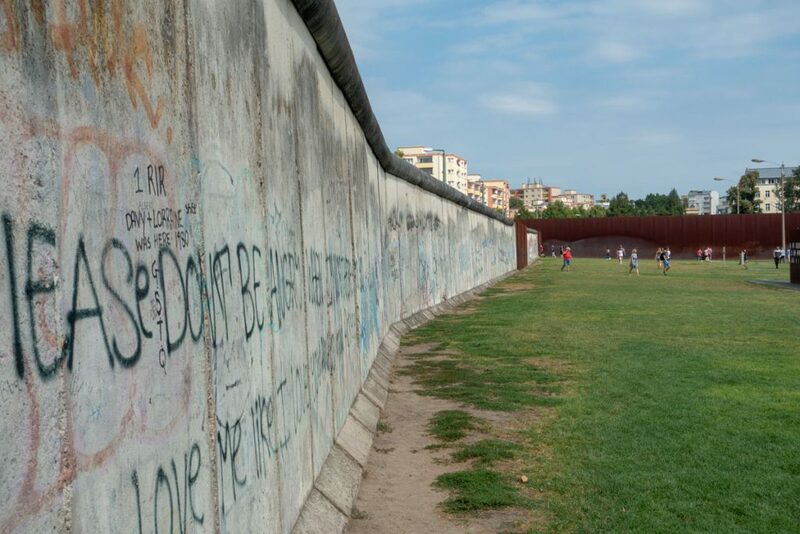 Standing there, I could envision East Berliners living behind the Iron Curtain longing to get to a life of freedom only feet away. It must have been a terrible feeling. Before heading on to Section B, I stopped at the museum which also has an observation deck several stories above the wall. 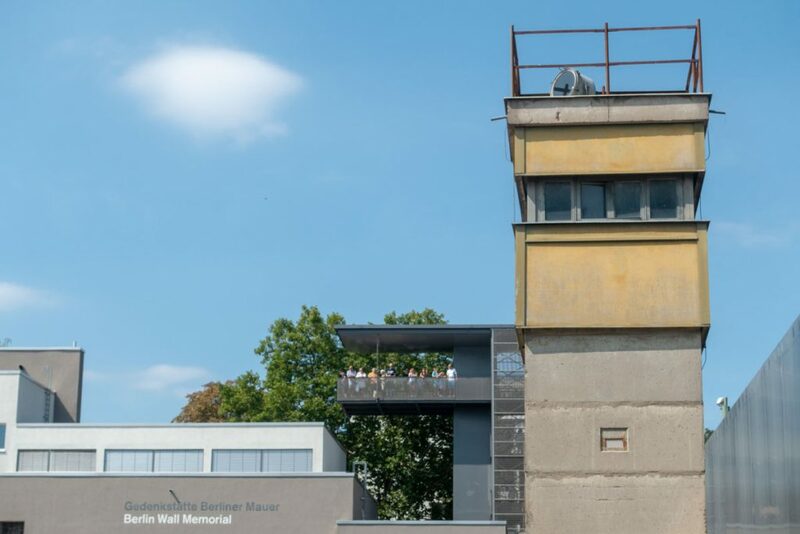 It gives you a great view of the well preserved section of the memorial showing the outer wall, no man’s land, patrol path, guard tower, and inner wall. It would have taken a very brave soul to try and escape over those type of fortifications. Closer shot of the observation deck from behind the wall. You are able to walk behind the inner wall and peer into the patrol zone. 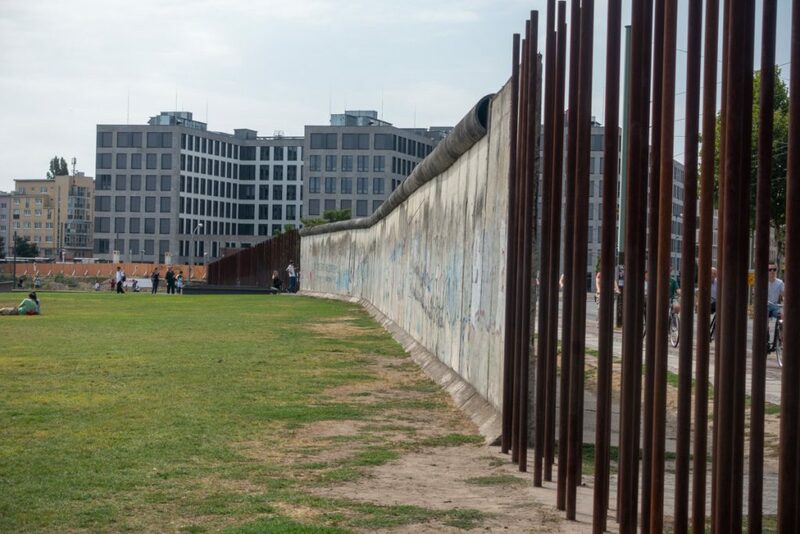 Standing on that side of the wall must have given little hope to those looking for their freedom. 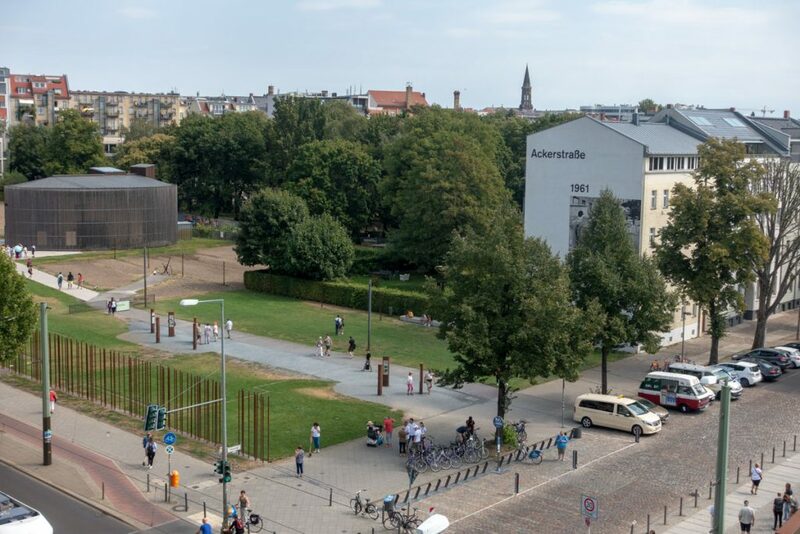 The first two parts of the exhibit were the highlight, I continued on through the third section which had some markers where some of the old escape tunnels were dug and some of the the foundations of the old houses along the border that once made up part of the wall. 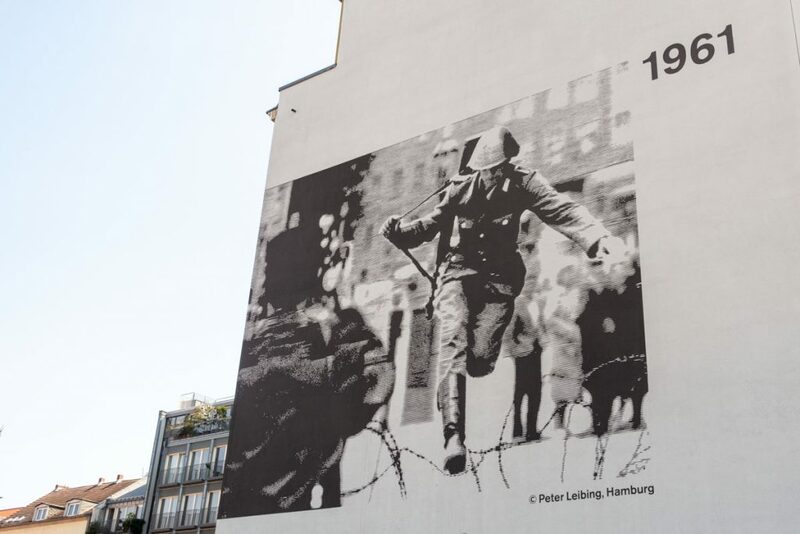 They have the infamous photo of the East German border guard jumping the barb wire to freedom painted on a building. 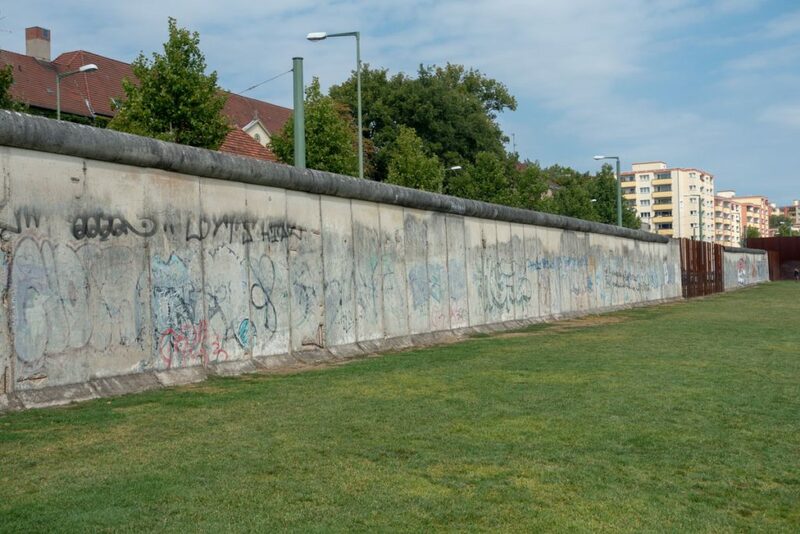 Like a lot of the memorials and exhibits I’ve seen so far in Germany, when you see the Berlin Wall in person it is hard to believe this happened. Looking at the unified Germany I’m visiting today, it’s hard to imagine people were imprisoned in their own country during my lifetime. I finished the day by visiting the DDR Museum. 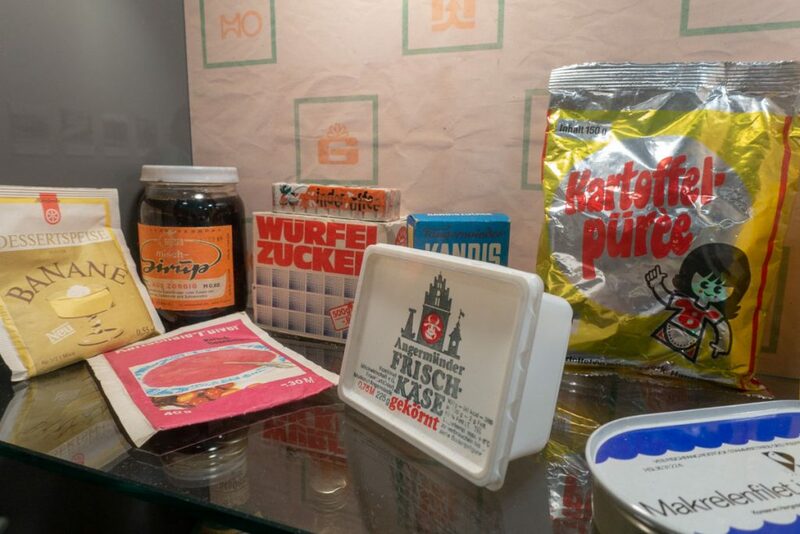 It has a collection of relics to show what it was like for people living in East Germany. It covers work, cars, life at home, and many other aspects of the daily life behind the Wall. They had several rooms setup to look like an old East German apartment which I thought was the best part. The exhibit is fully interactive and you are encouraged to open drawers, sit on the couch, and really experience the place. 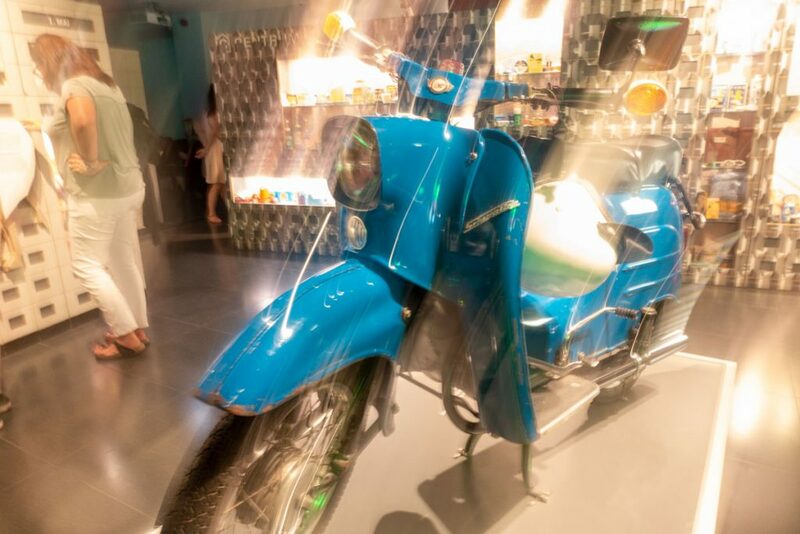 Unfortunately the museum was overcrowded and it was too difficult to get any good photos. I thought it was overpriced, but very interesting and I’m glad I saw it. Incredible history here. 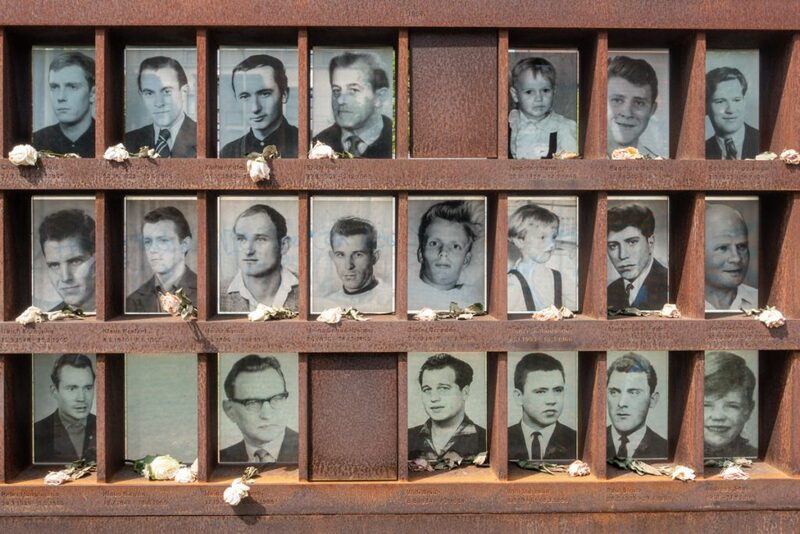 Keep thinking of the movie “Bridge of spies” when i see these pics..
After visiting all those sites in Germany dealing with the Nazi’s or the Communists…if it doesn’t move you or chill your bones – you have issues. You are going to like “bridge of spies” Pete, even more now because you were where it all went down. I also had to laugh at the retro style of your new camera as it looks so much like my camera i had in high school. 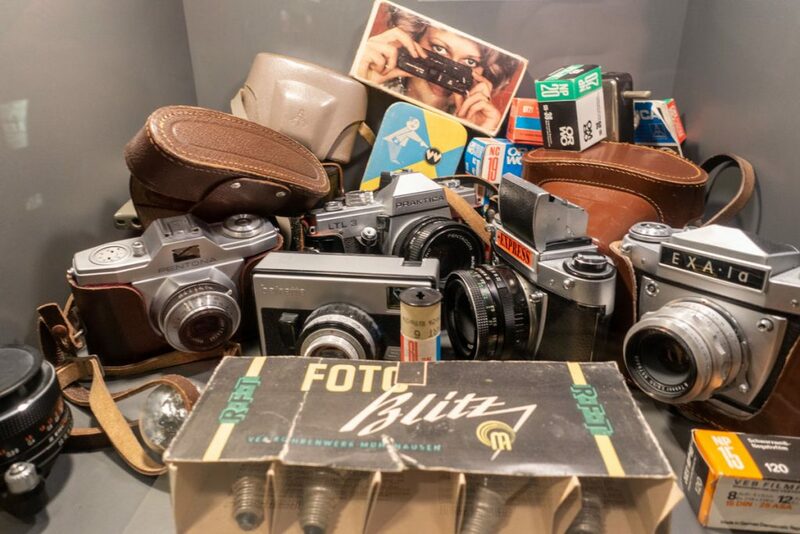 Only those cameras you could drop A LOT but they constantly needed more film rolls..and film processing…yuck. I love the retro style on the Fuji’s. The old school analog dials are the best. Everything is right there at your finger tips in black and white. No computer menus to go through. I’m still hopeful I can get the old one fixed when I get back to the States.